Im getting started on my holiday craft fair items. Halloween will be here before you know it! 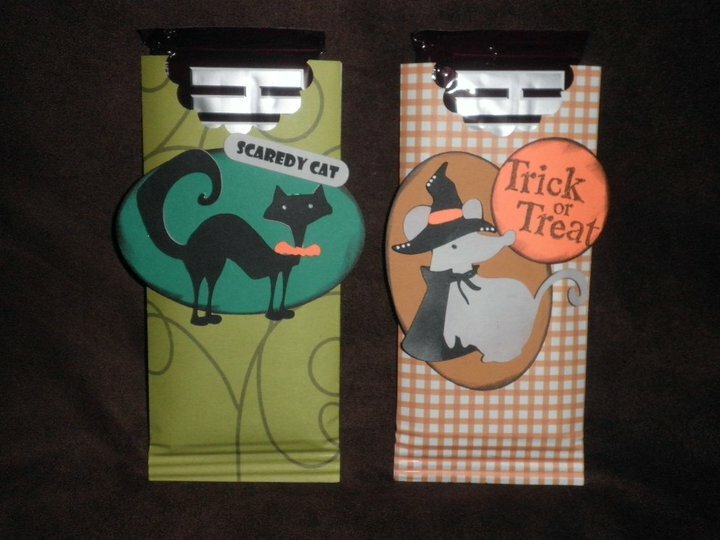 Both the cat and the mouse are cut from Happy Hauntings. "Scaredy cat" was printed on my computer and then punched out. "Trick or Treat" is a stamp. Look at that fat rat! He is so cute!!! Great job! Thanks for sharing such a wonderful project. I hope you don't mind but I am going to use this idea and make these for my students. Cute idea for a little treat. I bet you will sell lots of these! What a great project....love them! Such cute sliders Candace! and oh so yummy!!! I've never seen sliders like yours before.....very, very cute and crafty! You did a GREAT job! I received 2 each of these today. I AM THRILLED with them! Nice detail. 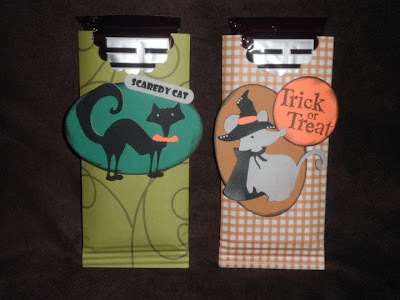 I know the children I bought these for will be excited to get a special wrapped treat for Halloween! Thanks Candace! I will get these up on my blog this week!